Following on from the hard cover release in April, this soft cover version of Mo Willems' addictive pigeon is typical of this talented creator's dry wit and engaging illustrations. 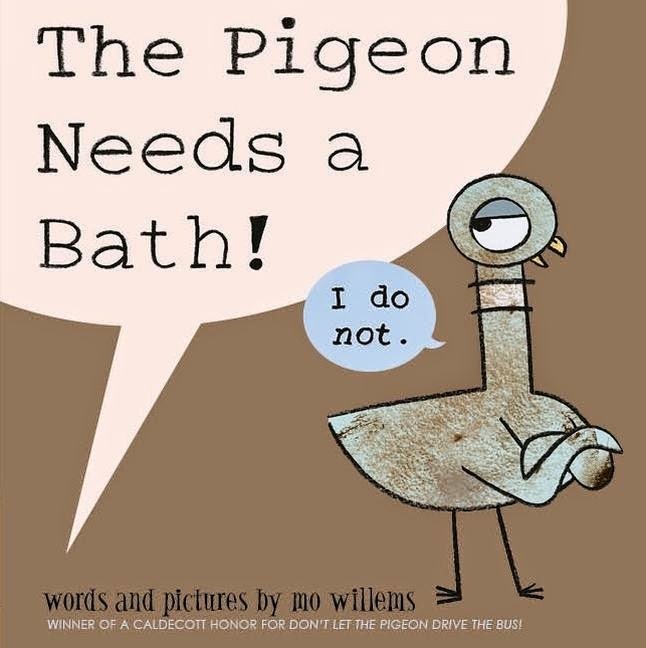 Like most Willems books, I can't read them without passing thought - on each and every page - to how kids would respond to pigeon and his antics. I can literally hear the laughter ringing in my ears and imagine the comments (and exactly what they would be), let alone the nods of recognition as our wee feathery friend denies the fact he's in serious need of a washdown. Funny, witty, rollicking fun,kids will absolutely adore this latest addition to the Pigeon series.